D1Baseball.com ranked Maryland No. 14 in their preseason poll, which was released Monday. The Terps finished at No. 16 in the final 2014 rankings after coming just one win away from the College World Series. They return six of their eight starters from last year and nine of their top 12 pitchers. Maryland is one of only two Big Ten teams to receive a ranking from D1Baseball.com, with Nebraska coming in at No. 23. The Terps will host the Cornhuskers for a three-game series April 3-5. Maryland will face only one other ranked team in 2015, when they welcome No. 19 Cal State Fullerton to College Park for a three-game set April 17-19. Five of Maryland’s 2014 opponents made the top 25: No. 2 Florida, No. 3 Virginia, No. 5 South Carolina, No. 6 North Carolina and No. 21 Florida State. Maryland finished a combined 8-9 against those teams, which includes six wins against the current Top 10. Four of those six occurred in the postseason (Virginia once in the ACC Tournament and once in the NCAA Super Regionals, and South Carolina twice in the NCAA Regionals). 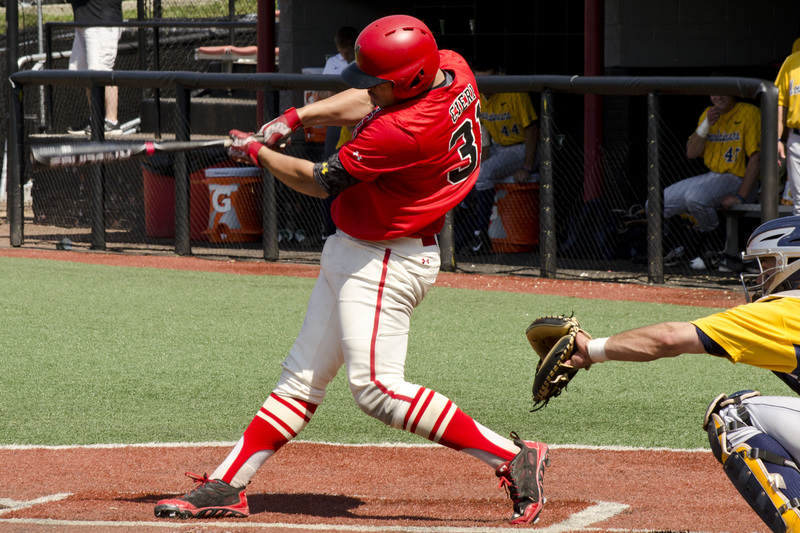 Maryland opens the 2015 season when they take on Western Kentucky at the Caravelle Regional Tournament in Myrtle Beach, S.C. on Friday, February 13 at 11 a.m. You can hear the broadcast of the game right here on marylandbaseballnetwork.wordpress.com. Baseball America ranked Maryland No. 16 in their Preseason Top 25 on Monday. The Terps are the only Big Ten team in Baseball America’s rankings. Three of Maryland’s 2015 opponents made the Top 25: No. 22 Central Florida, No. 23 Cal State Fullerton and No. 25 Liberty. Maryland appears at No. 33 in Perfect Game’s Preseason Top 40, just ahead of three Big Ten opponents. Ohio State checks in at No. 35, Nebraska at No. 36 and Illinois is No. 39.